Elia is an enormous sculpture by Danish artist Ingvar Cronhammar. 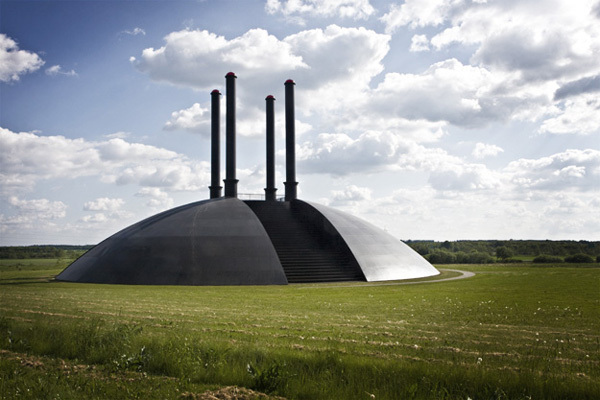 It sits in the middle of nowhere an old grain field in Herning, Denmark. Apparently, if Elia is struck with lightning, a 9 metre tall flame will shoot out of the middle. Judging by its location, I’m not sure we’ll ever be able to confirm that. But, I didn’t make the trip to Herning just to see this beast, I was actually visiting HEART to see the Jacob Holdt exhibit. I was ready to dismiss Holdt as a socialist with an agenda, but I’ve been moved and enlightened by his story, his humanitarian work, and his photos.